Hello there, today I have a card to share using the gorgeous Elizabeth Background that I picked up in my latest haul from Simon Says Stamp. It's such a stunning stamp and perfect for emboss resist which I have done today. I decided to have a play with the new Distress Oxide inks too. I started off by taking a sheet of watercolour paper and stamped the Elizabeth Background stamp on to it using Versamark ink. I applied clear embossing powder and then heat set. Using an ink blending tool, I blended over Distress Oxide Inks in Cracked Pistachio, Broken China and a little Faded Jeans. I then spritzed over some water and heat set. Once dry I cut this down using a Stitched Rectangle Die. I die cut the 'you' die three times from black cardstock and layered these up. I then stamped the sentiment from the You Matter stamp set on to a piece of white cardstock with black ink. This was then cut in to a strip. 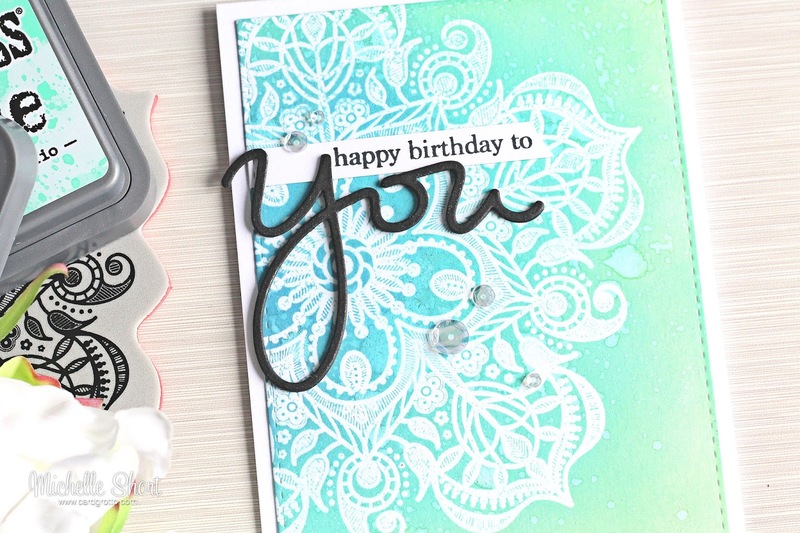 The background piece was added to a white A2 card base with ATG and then the You die cut added on top, along with the sentiment strip. To finish off, I added a few Moonshine and Sparkling Clear sequins, and a coating of Spectrum Noir Sparkle Pen on the 'you'. I love the finish on the Distress Oxide Inks. They have a nice chalky, silk like finish which is really pretty! They did blend really well on the paper too. I love the colour combination I used here. Thank you so much for visiting me today. I hope you have a great day and a great rest of the week! Beautiful card, simple but very effective. Beautiful! 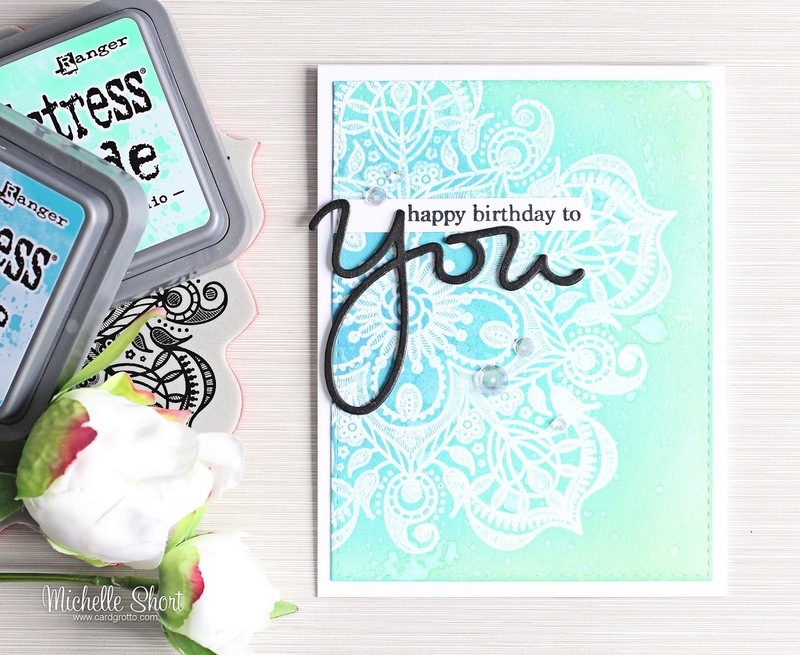 The Distress Oxide Inks are on my wish list...inks appear to be easy to work with and beautiful colors. So pretty Michelle, I really love the colours on this card, and of course, I love the stamp and have used it a few times already. It is striking with the black sentiment too. Still on the fence about Distress Oxide but I am sure I will cave at some point....!